This is a very large French Lamp dating to Circa 1950 and in great condition. 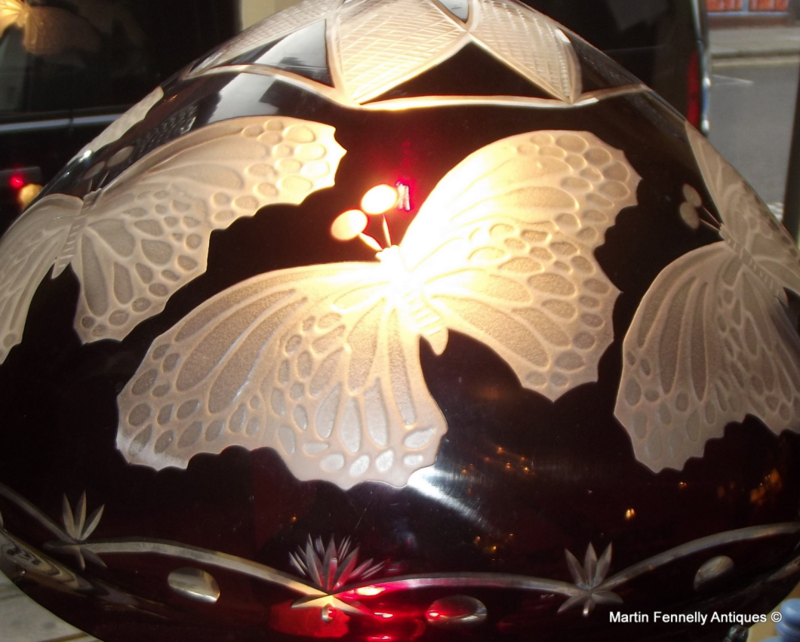 The Maroon lamp is etched/acid cut with butterfly decoration and makes quite a statement in my shop window. 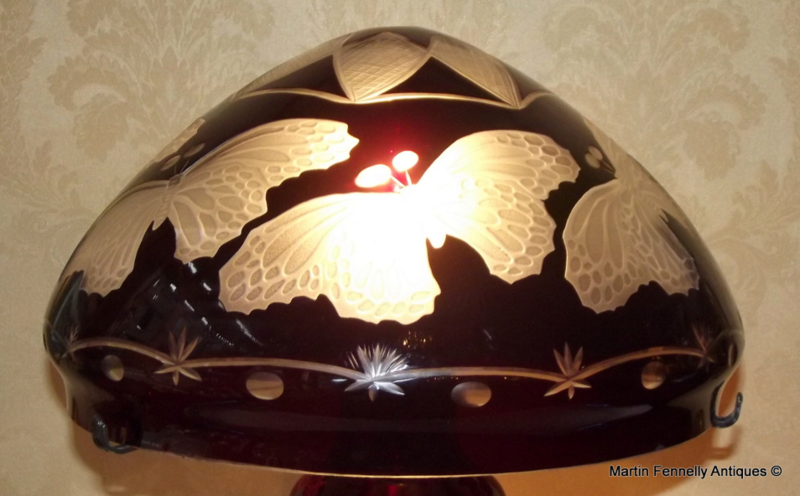 The lamp is illuminated via bulbs under the covering dome and in the actual stem of the lamp. 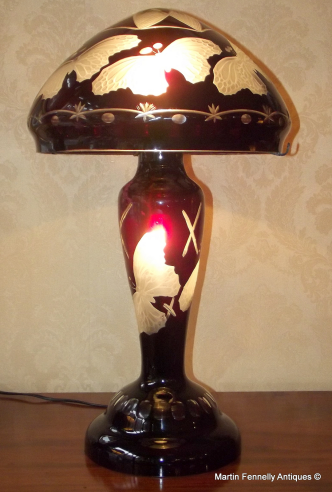 This is a stunning item and would add the Galle feel to any room.